Pencil Skirts and Noodle Necklaces: First Giveaway!! I have raved about Etsy before...I love it. Anytime I am looking for a special gift for a friend, new baby, or even cute things for my kiddos, Etsy is the first place I go. How amazing is it to purchase handmade items, that frankly...I'm just not crafty enough to make myself! 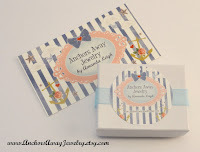 So...I am extremely excited to be offering our first giveaway to an adorable Etsy store, Anchors Away Jewelry! Shop owner, Amanda Leigh, has such fun jewelry to accessorize your favorite look all at amazingly affordable prices. 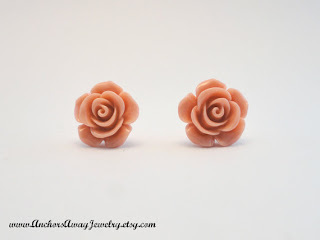 Well, Amanda has made it even easier for my followers to accessorize if you win this cute set of pink rose stud earrings! Follow my blog by clicking on "Join this site" in the sidebar (if you are already a follower - you get to skip this step!) and comment below with the item that you like the most in her shop! 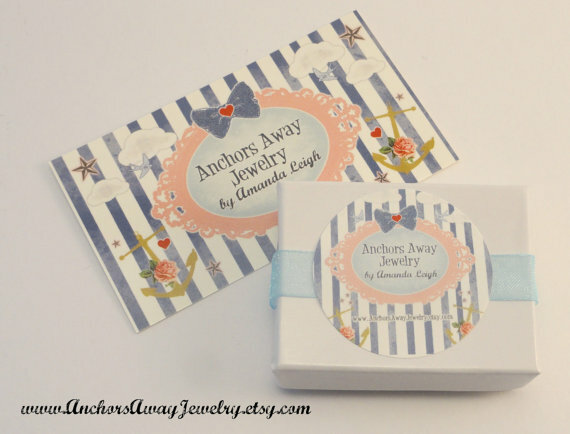 You can find a link to her shop above in this post, or by clicking on the Anchors Away button in the side bar. A pair of classic pink rose silver tone stud earrings. Item will be packaged as shown in the last photo. I love the bronze bird on a branch necklace! Soon cute! The pink and purple flower bobby pins are amazing!! 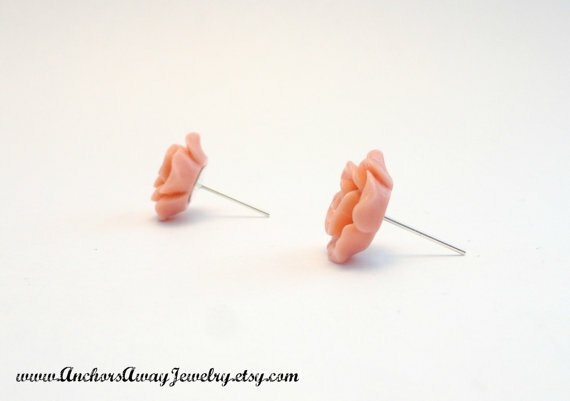 I use normal bobby pins, but these are so cute and not boring!! I like the stripped stud earnings!! I like the black studded iphone case and the stripped stud earrings! The anchors are my fave, shocker, I know :) and I can't believe they are less than $4! I love the iPhone case and the hair pins! The hair pins! So cute!! Everything on this site is adorable! I love the bronze filigree ring with the pink rose. I love the Bronze Bird on Branch Necklace! It makes me wish my girls had pierced ears. Her stuff is adorable and affordable, what more could you ask for? Bird necklace is just too cute! All colors of the rose stud earrings! Great prices too!